PERTH, Australia (AP) — Roger Federer has committed to starting the 2018 season at the Hopman Cup, the international mixed-team tournament where he’ll team up again with Belinda Bencic for Switzerland. 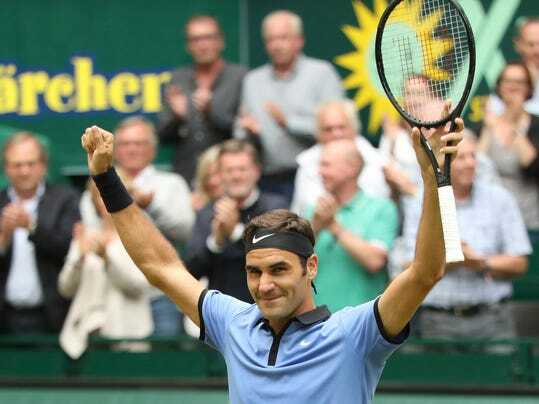 The 35-year-old Federer has cut back on the number of tournaments he plays in order to prolong his career, and skipped the recent clay court season recently to concentrate on Wimbledon. He played with Bencic at the last Hopman Cup and it proved an ideal tune-up for the Australian Open, where he beat Rafael Nadal in the final to end a personal Grand Slam drought stretching back to Wimbledon in 2012.